The number three throughout history, ancient civilizations and practically all cultures, religions, spirituality and even science, plays a major role. It signifies unity, perfection, creation, the bases and even the cosmos. For example, our three main organs which represent the maintenance of life: the heart, lungs and brain. 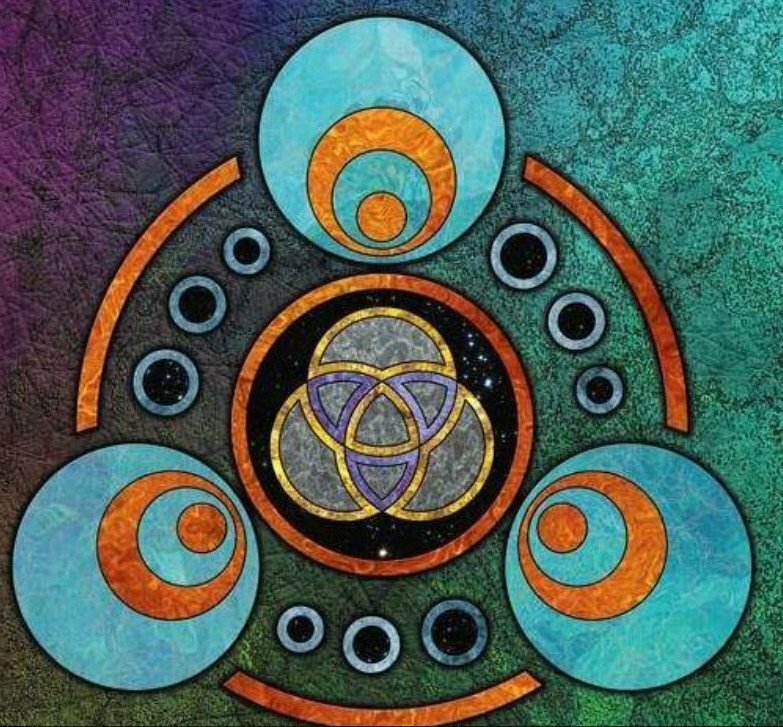 The Tripod of Life or the Borromean rings represent in the ancient knowledge of Sacred Geometry, the energy form of the second day of creation, and the core of the Seed of Life, from the Flower of Life, believed to contain the patterns of creation, the forms of space and time. It is also believed that just by looking at these sacred patterns one can heal and expand consciousness. In fact, when overlapping three third dimensional rings into the Tripod of Lifeshape, energy is generated and emitted. This energy can enhance creativity and widen our consciousness level. The Rule of Three is also a principle which emphasizes the power of the number and its effectiveness. Based on the latin principle “omne trium perfectum”, everything that comes in threes is perfect and complete. This is used today in many areas from writing techniques, to photography, films and advertising. The number six in relation to the first number (3), is its double, twice as powerful, although submitted to universal duality or the law of Genders, of feminine and male energies as parts of the whole, the Yin/Yang, the Vesica Piscis in manifestation. Although, the 9 represents the Whole, the Spirit, the 3 + 6, our entire universe manifested oscillates between 3’s and 6’s. The number three when doubled is six, but surprisingly the double of six is twelve (12, 1+2=3) which lead us back to three again. This pattern continuous with the double of twelve being twenty four (24, 2+4=6) and so on. If the 3 6 9 are directly related to the pattern and form of Creation, both physical and energetically, then by logic each represent a specific stage in Creation, by sets of three’s and nine (3×3) as the equivalent of stage completion. If we continue in sets of three, it keeps leading us to the same order over and over, endlessly: 12 (3), 15 (6), 18 (9), 21 (3), 24 (6), 27 (9), 30 (3), 33 (6), 36 (9)…. This order pattern is also found in the “angel numbers”: 111 (3), 222 (6), 333 (9), 444 (12-3), 555 (15-6), 666 (18-9), 777 (21-3), 888 (24-6) and 999 (27-9). The same also repeats on the ancient healing frequencies, the sounds of creation, the Solfeggio frequencies: 174 Hz (12-3), 285 Hz (15-6), 396 Hz (18-9), 417 Hz (12-3), 528 Hz (15-6), 639 Hz (18-9), 741 Hz (12-3), 852 Hz (15-6) and 963 Hz (18-9). Is it possible that all clues are trying to tell us something about this code, regarding its importance as life and evolution base? Another extremely interesting fact is how these numbers can also represent shapes, specific sacred geometry shapes, such as the double Torus and the Golden Ratio, spirals. To have this knowledge is to master life and our everyday creation as a conscious singularity, a part of something that transcends our minds. And yet, here we have the keys to create in harmony with the universe, and become something we could only dream off, solve the mystery of our existence and purpose, be One with the Source, in body, mind and spirit. Thanks to satorirei for this article. Performing math to get 3,6,9 as well as shapes seem to be ridiculous. It has to have meaning. Like patterns in life, nature and celestial objects.